Studio Le Petite Boutique Concept | Pilchner Schoustal International Inc. 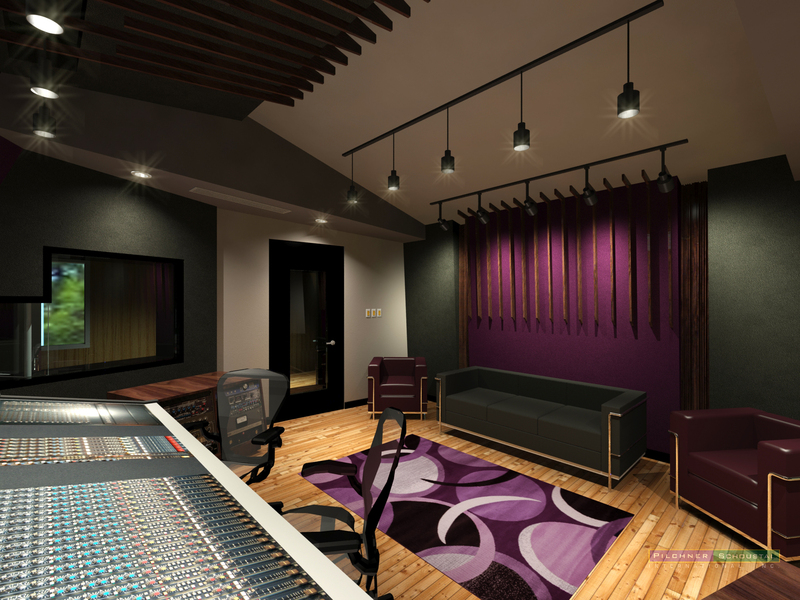 These renderings show a new private modern recording studio being developed in Quebec. 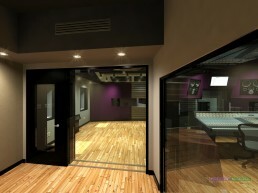 The studio will be built in the upper level of stand alone multi-car garage building. 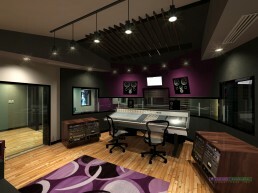 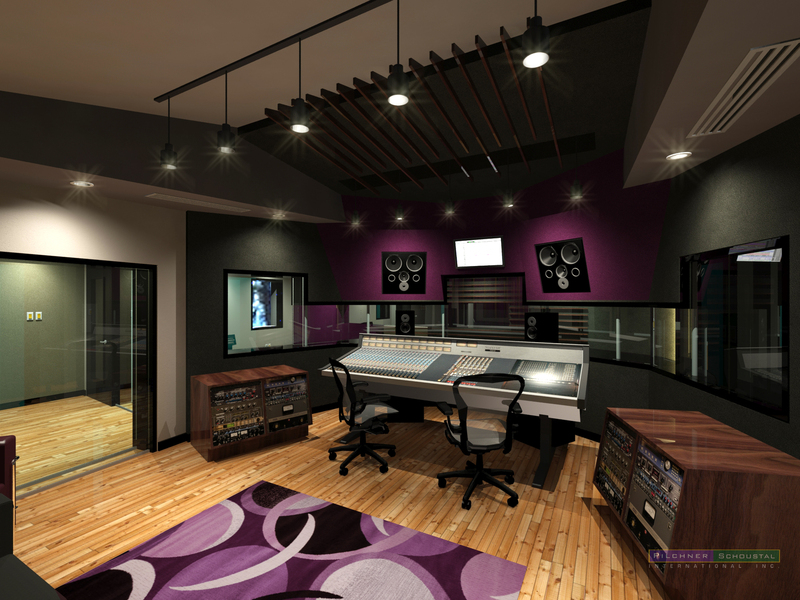 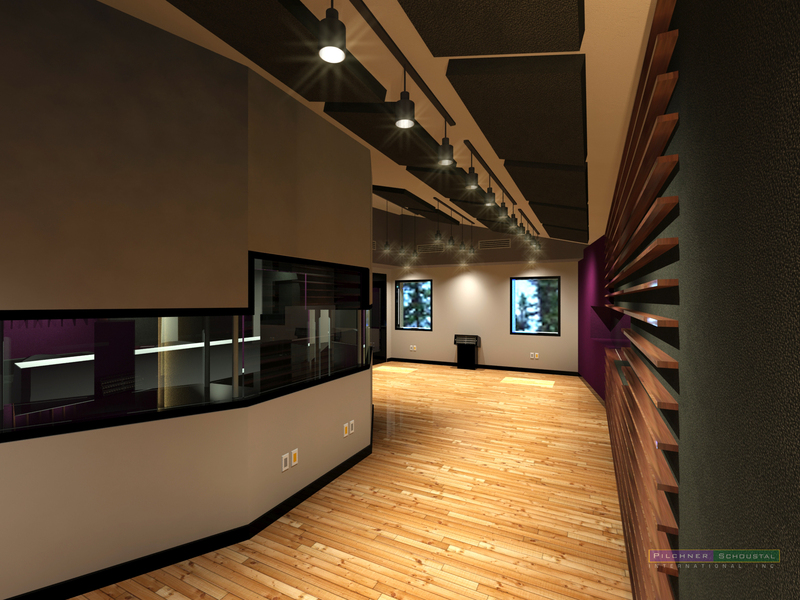 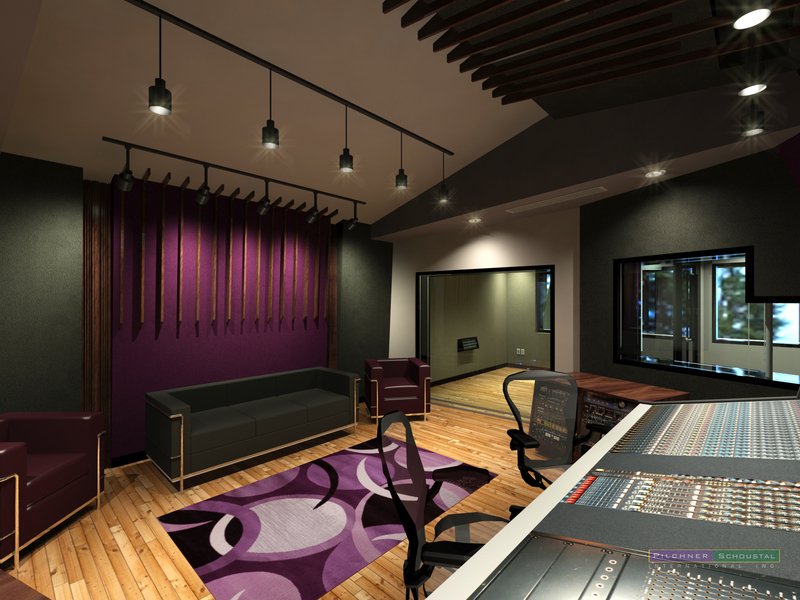 The entire upper level will accommodate the recording studio which consists of a control room, a studio proper, and an isolation booth. Other amenities in support of the studio are on the lower level of the building. 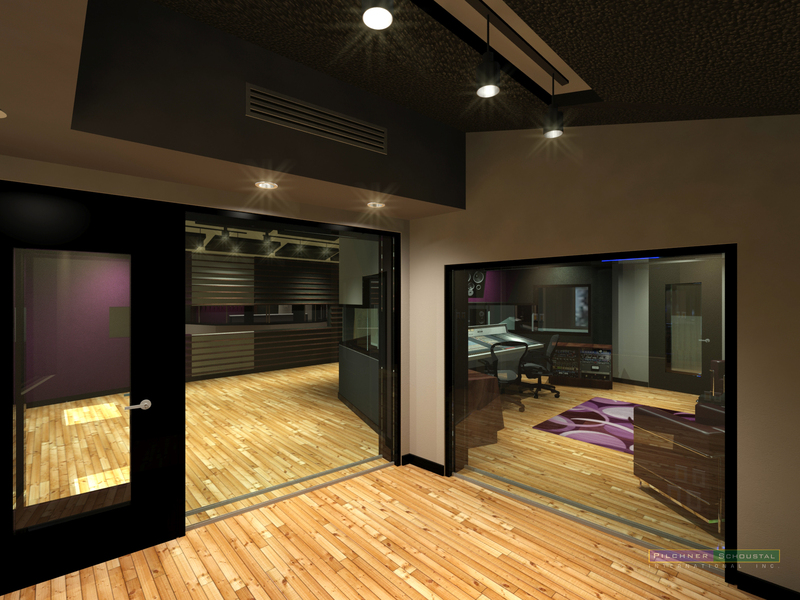 The studio stays close to the inner boundaries of the walls and roof structure so great lengths were taken to provide an interior design response that respects and leverages the shape in a purposeful way. 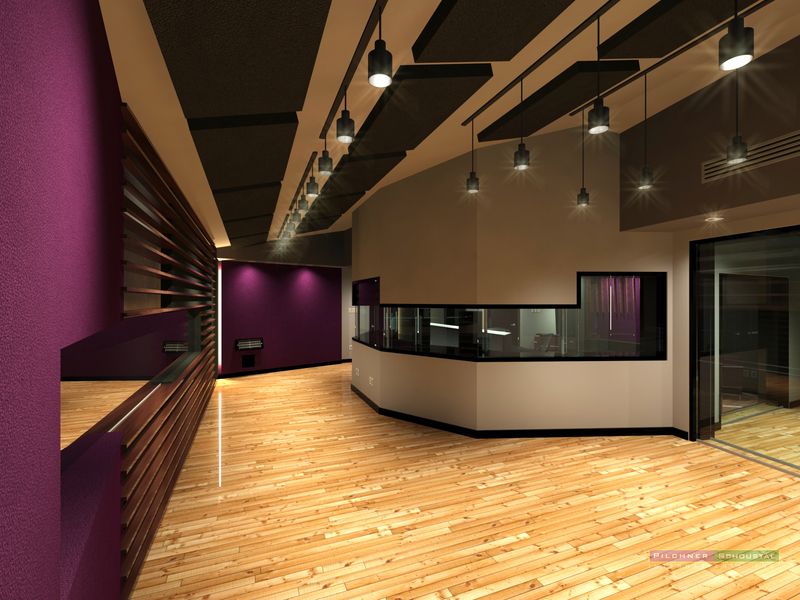 The control room is centralized so a large panoramic window is provided in the control room so as to provide unobstructed vision to the performers in the studio space. 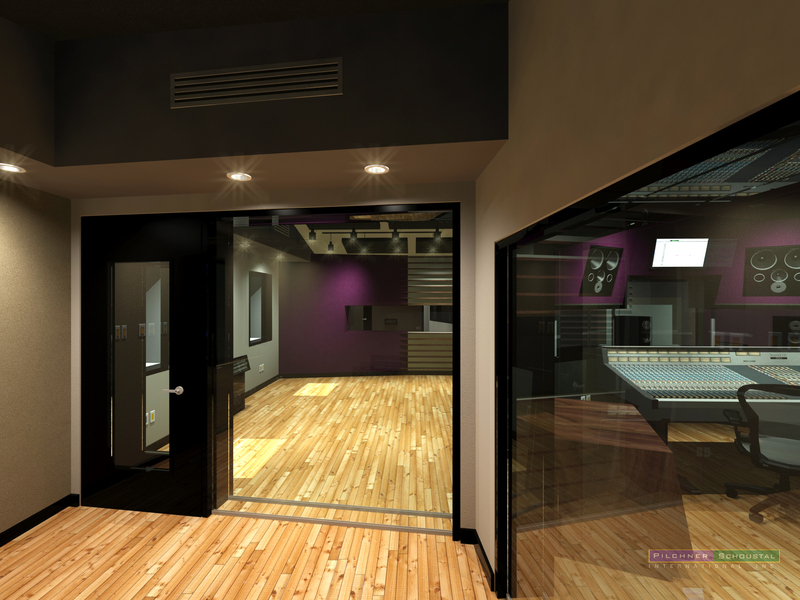 Exterior windows are used extensively throughout the studio proper to offer great views of the area and provide natural light to the space.